FC Barcelona made the best deal in the history of football, signing a young Lionel Messi from Argentina at the age of 13. The contract, signed on a napkin, was predicated on FCB paying for Messi's medical treatments. But few understand what Messi had and how it has affected his play. Messi was diagnosed with a growth hormone disorder, or GHD. It is often called idiopathic short stature, but there are problems that go beyond being shorter than average. The treatments were expensive, a $900 monthly expense that his modest family could not afford. River Plate and Newell's Old Boys, storied Argentinian clubs, passed on that expense despite the promise of a very young Messi. The treatments were injections of human growth hormone. For someone with GHD, this is a life-changer, allowing them to not only develop greater height, but also help deal with a variety of internal issues, such as pituitary function, skin and teeth problems, poor vision and lower immunity. The use of HGH is banned in almost all sports, amateur and professional, but there are two things that need to be made clearer. First, Messi's use was likely discontinued after he reached adulthood. FC Barcelona and Messi's representatives did not respond to my request for comment on this issue and have made no public comments in years regarding Messi's medical treatments. While GHD continues, the importance of it to development and function is reduced. If it did continue, a player with a diagnosed medical condition, especially one that is longstanding and well-documented like Messi's, could apply for a therapeutic use exemption. A therapeutic use exemption (or TUE) is granted for a player's use of a banned substance when that substance is considered medically necessary. Section 46 of FIFA's anti-doping code contains provisions for TUEs. 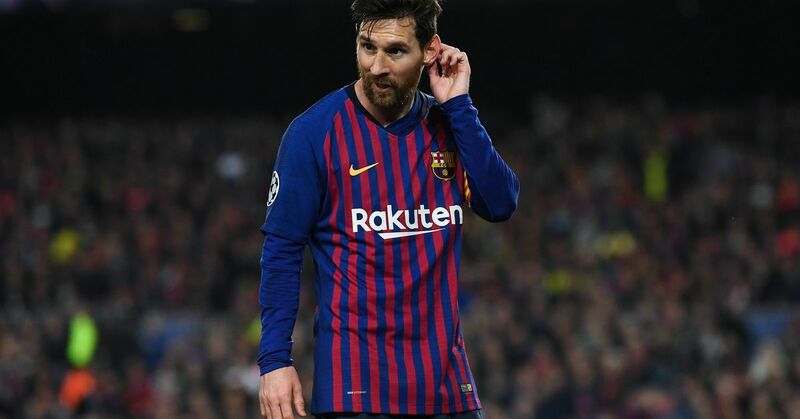 While Messi would technically have needed a waiver in order to have the medical treatments, and the facts would support the grant of this waiver, it is unclear whether Messi had this. WADA did not begin testing for HGH until 2004, though it was on the banned list much earlier. Second, Messi did not use HGH as a performance enhancer. Messi was using a prescribed treatment, monitored by physicians, in order to overcome a medical condition. The result is that he's a normal human being today, fourteen years after the treatments were made possible. Messi is listed at 5'7" by FCB, which is exactly average for an Argentinian male. At the time Messi was diagnosed, he was only 4'2"! Messi is now normal and average in the physical sense, but certainly not normal when it comes to talent! Some of that talent, or his ability to use that talent, comes from his height. Even with the 17-inch gain Messi made, he retained a very low center of gravity. This is not uncommon in football and even less uncommon for Barca, a team that has several top players who are considered small. Teammates Andres Iniesta and Xavi are 5"6', while the Argentinian national team has a couple players available whom Messi would tower over. Diego Buonanotte is 5'4" while Pablo Piatti and Emiliano Insua are 5'5". The use of HGH in sports is very controversial, but it is not uncommon. Lance Armstrong's recent confession of his use of EPO also included the use of testosterone and HGH as part of a sophisticated recovery system. MLB recently announced an expansion of blood testing during the season, despite having no positive tests during 2012, the first season it was used in an American professional sport. The wide use of HGH in youth sports is a troubling topic because of the questions it raises. The key questions become: Does the player really have a medical need, and is there a cultural advantage? Is HGH used as a medical treatment, or is it actually a performance enhancement? Andy Pettitte is one of the few players who have admitted the use of a banned substance and returned to his normal level of popularity. Pettitte's confession came after being named in the Mitchell Report, though Pettitte insisted his use was minor and that it was done only to recover from injury. The use of HGH is growing in society. While HGH and testosterone are both banned in all major sports, we continue to see advertisements touting its benefits. You will often see ads for the substances during sporting events. If you've seen the "Is It Low T" ads or seen Androgel's many pitches, you're seeing a substance that would cause a positive test if taken by any of the players between the commercials. Clinics advertising the use of HGH are popping up everywhere, raising many ethical questions about why it's "good" in one case, but "bad" in another. Messi may well be the best player in the game right now. He is arguably one of the greatest of all time, being mentioned not only with his countryman, Diego Maradona (who was only 5'5" himself), but with a pantheon of greats like Pele, Johan Cruyff and Eric Cantona. Without the use of the controversial medical treatment, we may not have seen this incredible athlete on the pitch.